The police in Kano State have arrested Sani Danjuma, who allegedly led the robbery attack on a guest house belonging to the Jigawa State Deputy Governor, Ibrahim Hassan Hadejia. 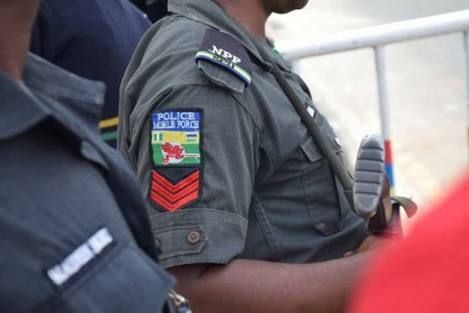 Danjuma, a former Police Sergeant, was attached to the Jigawa State Police Command before his dismissal. The culprits disarmed the policeman on guard and took his AK-47 rifle loaded with 30 rounds of live ammunition. It was gathered that Danjuma was a guard in the guest house. A BMW car, valued at N11 million and some undisclosed amount of cash were stolen. Police spokesman Magaji Musa Majia, who paraded the suspects yesterday, said the guest house was attacked on Sunday, March 18, about 9.30pm. He said: “A good Samaritan gave the tip off at the Special Anti Robbery Squad (SARS) Kano, that robbers attacked the guest house on Okashatu close, off Hadejia road. “They attacked the policeman on duty and confiscated his AK-47 rifle (26594) loaded with 30 rounds of live ammunition. Majia said the suspects confessed to the crime and led detectives to their hideout where the stolen AK-47 rifle, car and other dangerous weapons were recovered. He added that investigation is on to trail other members of the gang at large.